With its expertise in engineering, Schneeberger is one of the leading names when it comes to groundbreaking innovations in linear technology. Linear bearings, profiled linear guideways, measuring systems, gear racks, slides, positioning systems and mineral casting are all part of Schneeberger’s product and manufacturing range. 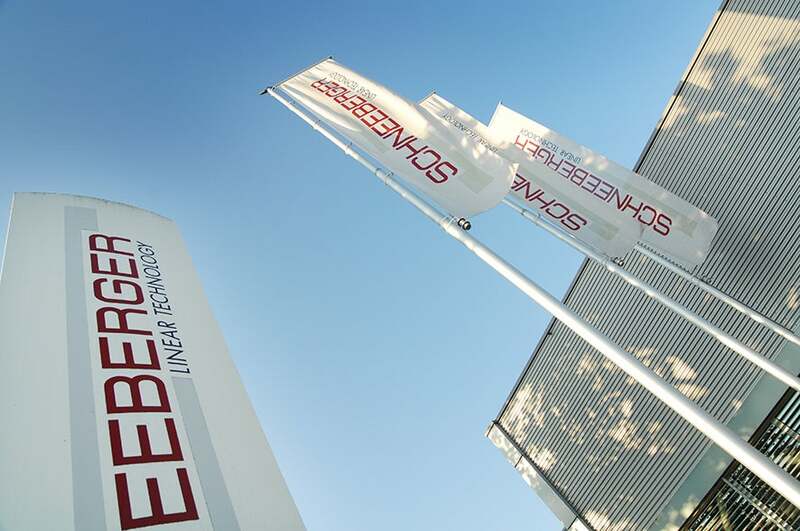 Schneeberger serves original equipment manufacturers operating in various industries worldwide, from machine tool, solar technology and semiconductor technology, to electrical engineering, medical engineering and others. Our products not only prolong the lives of machines, but also people. Wherever devices and machines need to make highly dynamic and precise linear movements, linear guides meet the requirements with integrated FORMULA-S cage control systems. FORMULA-S guarantees that the cage, supported by frictionless bearings, is guided reliably in the centre of two rails. Linear bearings play a vital role in the prevention, diagnosis and treatment of tumours. The more precise the movements, the more meaningful the tomography images, X-rays and tissue probes, which produces more accurate diagnosis. FORMULA-S is also a key component for the electronics sector. The technology is so mature that Schneeberger now supplies the world’s leading manufacturers of wire bonders, sometimes also integrating customer-specific products. Our capacity for innovation allows us to develop in the following markets and industries. Using our standard component range, we are able to produce tailored solutions within a very short time frame, from single axes with integrated control units, to highly complex systems based on mineral cast constructions. When it comes to integration, we always go just as far as the customer wants us to. Schneeberger is also able to control complex motion systems with great precision. In its positioning systems, Schneeberger Systems uses the tried-and-tested components and expertise of Schneeberger linear motion technology and mineral casting, and is able to consistently implement these diverse resources into customer-specific total solutions. From standard components to complete systems, Schneeberger offers a unique spectrum of products and services for medical application and for other industries. Alongside standard components, Schneeberger manufactures complete systems, often including a range of Schneeberger components. When we build the complete system, our customers benefit from our expertise in components. Because we manufacture the components ourselves, we develop them so that they can be optimised for use alongside each other. As we also build complete systems, we know what requirements our components have to meet in order to do their jobs in complex systems. Schneeberger’s vertical range of manufacturing is unique in the marketplace, which is the same advantage that our customers gain. Schneeberger Linear Technology has released the Minislide MSQ family of table slides. Positioning systems used in demanding industries such as semiconductor technology, medical engineering and solar technology must guarantee the highest level of precision and reliability, while maintaining an extremely high degree of purity. Schneeberger provides highly precise and reliable linear technology products, which runs the gamut from standard components to complete systems. Schneeberger's MINIRAIL profiled miniature guideways are small devices with accurate precision, robustness and versatility. Schneeberger provides linear bearings and customised solutions for various fields of application. SCHNEEBERGER has released the MINISCALE PLUS optical incremental distance measuring system for designers who have to fit high-precision linear technology with integral distance measurement in small spaces. SCHNEEBERGER has released the new MINISCALE PLUS optical incremental distance measuring system for designers who have to fit high-precision linear technology with integral distance measurement in small spaces. When maximum precision and processing reliability are required in minimal space, the MINISLIDE miniature tables offers outstanding solutions. Schneeberger offers cost-optimised solutions through its integrated measuring system for distance measurement, which can be used for a range of applications.